A big trend to keep an eye out for this season – Pearls! They are popping up everywhere. You’ll see them on anything from shoes, blouses, and even denim. This is a trend anyone can pull off. 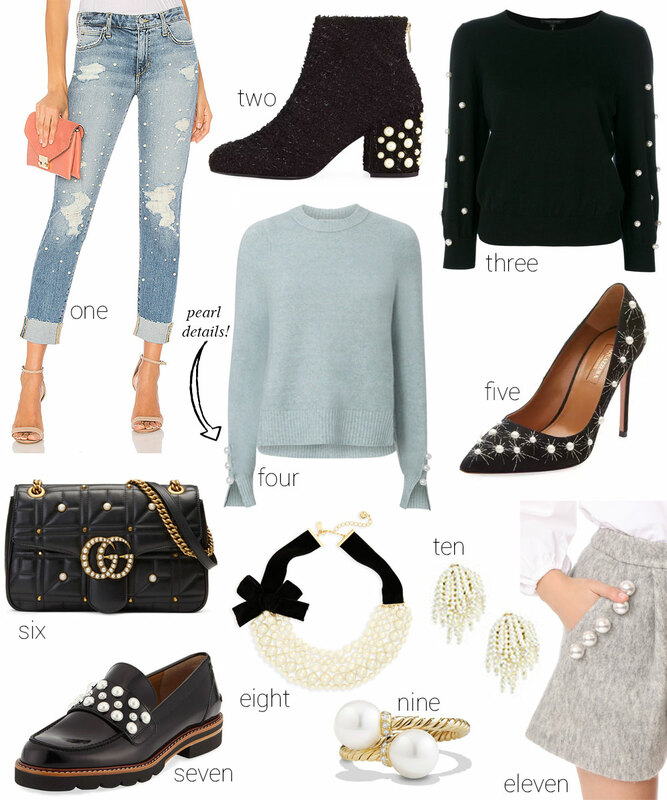 You can add a subtle touch of pearls to your look with a detail on the sleeve of your top, or have them sprinkled all over your denim for a more daring look. I personally love the pearl details on shoes, like this flat with the dainty strap. I’ve also been eyeing these Stuart Weitzman loafers. The pearls add a nice feminine touch to the menswear inspired shoe. This is a great trend for fall… I feel like the pearls dress up an otherwise ordinary look. And I don’t know about you but the fall season, with the arrival of cooler weather and the start of the holiday season, is when I like to start getting a little more dressed up.